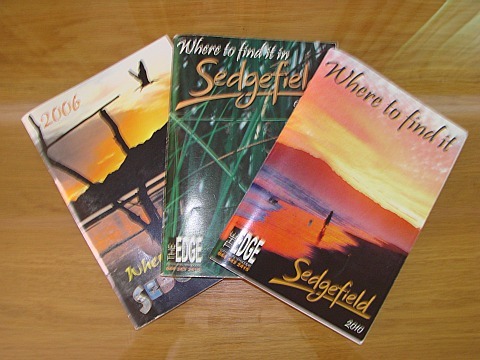 It was not the Edge - not even close when Bomber and Kelly Webb bought Dee Barnard's "Sedgefield Advertiser and Wilderness Ways" in February 1998. It was a just a small Ad-Rag. Kirsty, Bomber's sister, nursed it along until Kelly arrived from Zimbabwe in July. Bomber joined her a month later in August and work started in earnest. 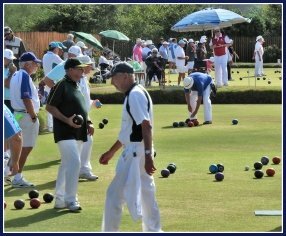 To begin with they ran it from Kelly’s parents’ home up in Rheenendal. When they took it over 1500 copies of the little Ad-Rag were being printed irregularly. Bomber and Kelly immediately put that up to 2000 copies ensuring that the advertisers could depend on it being printed every two weeks without fail. Around October, the Webbs initiated a competition to find the magazine a new name. 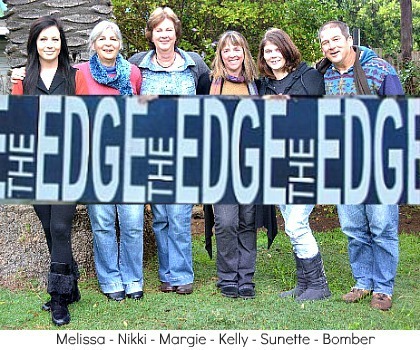 A lady from Plett won R300-00 when she suggested "The Edge" because she said "It had the edge on all the other newspapers". Back then, already....wow! If it was appropriate then, the name suits our village tabloid even better today!! 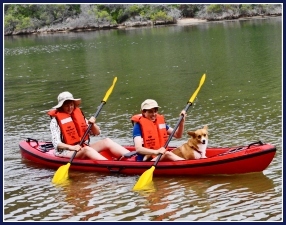 In January 1999 Bomber and Kelly and their two children, Taylor and Carianne were able to move to their own place, renting a double storey house at Lake Pleasant. The upstairs they lived in and the downstairs housed their business. Every two weeks the 16-20 paged magazine was collated by hand – all family members were roped in and any willing friends – even so, it was often 3am in the morning before the job was done. 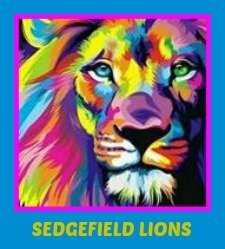 The hard work paid off though and in July 1999 they established their public face in Sedgefield when they rented an office in the Forest Lodge Complex. Margie Mather responding to an employment ad, joined them in May 2003 as their Accounts and Admin person. Margie had recently arrived from Kwazulu-Natal because her husband was transferred by the Forestry Department to Karatara. She quickly made herself indispensable, creating order to the “cake tin” system (where everything that needed attention including the money was kept!) and putting her hand to anything else she came across that required doing. She now also places the editorial and classifieds in the paper and finds appropriate pictures for them. Kelly is the back up designer and secret boss, being married to the editor! Bomber is journalist and Editor in Chief, lifter of heavy things and complaints handler (internal and external). 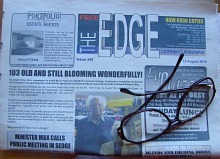 In 2006 the decision was taken for The Edge to purchase its own printer and on 12 April 2006, the A3 tabloid was born. The Edge had graduated and become a real newspaper. At that stage, it took 5 days to print and collate. 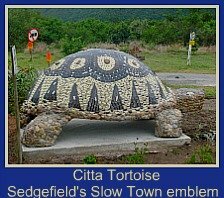 Meanwhile, Margie says she has come to know and like the Sedgefield community so her husband and her plan to retire to the village when he goes on pension. Melissa is the 'Never say no' Saleslady extraordinaire. Nikki has been co-opted onto the team as volunteer proof reader as she is family. Sunette is designer, creative person, drinker of Cappuccinos! I get the distinct impression that The Edge is a family that enjoys a really happy work environment. Each person of this team has their specific jobs, but they work together readily and the boundaries get blurred as they help each other to get the paper out on time. Bomber and Kelly took on an Ad-rag 14 years ago and with dedication and soul, they have given it a unique flavour and written it into our hearts to become our local iconic newspaper. In March 2009 The Edge was upgraded to colour although this meant having the printing job done in PE. 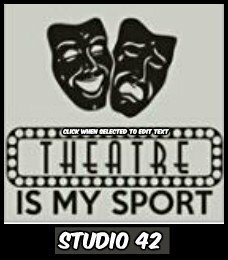 Nonetheless, once it is emailed to the Printers on Tuesday evening, it takes them only 45 minutes to print and collate it. The courier collects the copies at 4am Wednesday morning and by 7:30am, the finished product arrives back in Sedgefield. It’s looking better than ever and you now know why my homepage says "SEDGE HAS THE EDGE" It does…… in more ways than you realised! 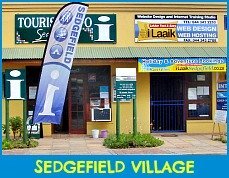 The paper continues to go out fortnightly to Sedgefield village, all 6500 copies distributed freely in a good deal of our local stores and outlying areas. You have to be wide-awake to get one - 2 days and it's gone. At the beginning of October 2010 the paper moved to larger premises - a house - a definitive statement, the local Tabloid is here to stay! Good for them! Although my heart dropped when I went to see them and they had gone. A near-by observer in the Forest Lodge quadrangle, must have seen the look of shock on my face and said "Don't worry, Dear - they've just moved around the corner into a house." I was so pleased - I can't tell you! I had visions that our beloved newspaper had succumbed to the recalcitrant economy. 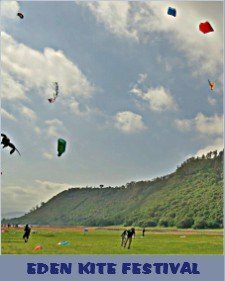 Many locals contribute eagerly and willingly to The Edge. It’s a real "feel good" tabloid, even when it dishes up bad news to swallow at times. 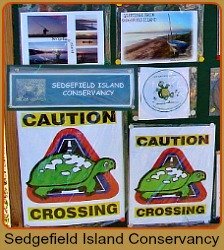 Besides keeping us up to date with all the local news and gossip, it's always full of interesting snippets ranging from eco-gardening and baking, to health and beauty, and indispensables like our tide-table and brain gym page and everything in between - like how Sedgefielders manage to live to a ripe old age (we get pics of centurions quite often - no kidding!) 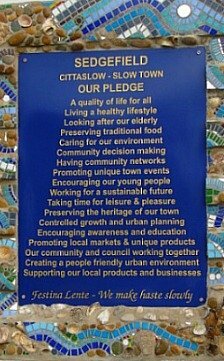 It really is what it says it is – it captures the image of our our Slow Town perfectly and is our favourite community newspaper! The fortunate thing is that for those of you (like our swallows) who want to keep up with Sedgefield's news, you can now also find it on-line! You can now read our local community newspaper on-line. Click Here! The Edge also publishes an invaluable annual business directory for Sedgefield. “Where to find it” contains all the information by category besides a convenient alphabetical listing. In a neat A5 format it’s the kind of booklet that can easily fit in a modest sized handbag. 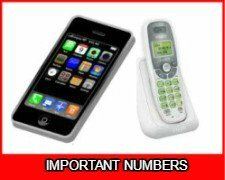 It has all the emergency numbers on the first page and a useful Sedgefield map at the back. For advertisers there’s a practical Edge publication timetable for the next year. 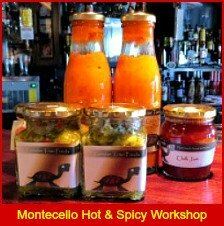 It is distributed free of charge throughout the village to all businesses and tourist accommodation.